When Web Affiliation becomes risky! As you know, the payment is the result of being the Affiliate. However, the reality is much tougher than it looks. In some cases, an affiliate program may be subject to risks not at all trivial! To explain how an affiliate program could be exposed to potential risks, we will take the “special” case of loyalty sites that encourage users to install a Toolbar in their browsers, in return for the receipt of bonus points or a portion of their purchases to a charity of their choice. While in reality this Toolbar has an illegitimate purpose, behind it, it is diverting commissions from other affiliates enrolled in the same program. These so-called “parasitic” sites are based on the “last click wins” principle and apply a redirection, as soon as the user clicks on an “Ok” button, as an example, of the notification window sent by the Toolbar, allowing them to divert the commission of the affiliate who was behind the transaction. Which forms take the risks associated with pests? Therefore, lack of transparency due to biased trade data. 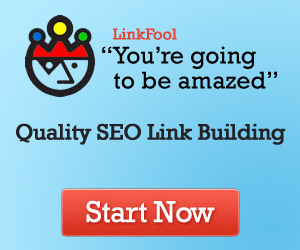 Pay for actions that originally came from a “natural” traffic (SEO or social networks). So, this is a risk of cannibalism. I recommend you read Geno’s article cited above, which illustrates this phenomenon. Loss of super-affiliates who risk leaving the program. Affiliate platforms are also concerned with these dangers as the approval of parasite affiliates could immediately turn into a decisive selection criterion for choosing an affiliate platform. I hope this post has made you aware of the dangers of parasitism in Web Affiliate Marketing. The next step is “spread the word”. Feel free to share this article.